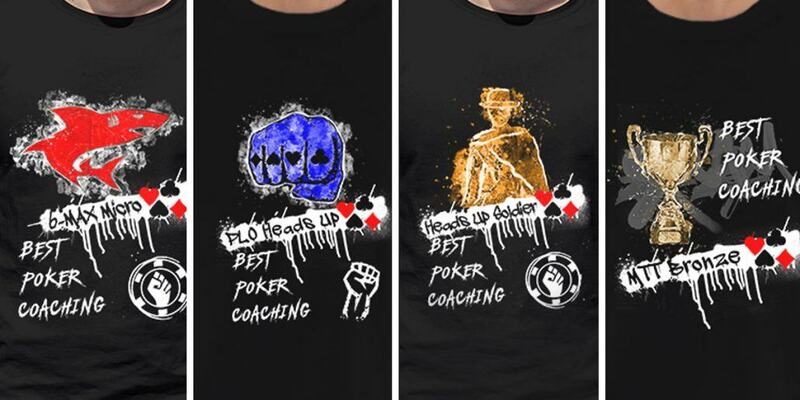 Sharing is caring – and several BestPokerCoaching.com players stood out in March, blogging and sharing success, failure, and everything in between in their blogs. 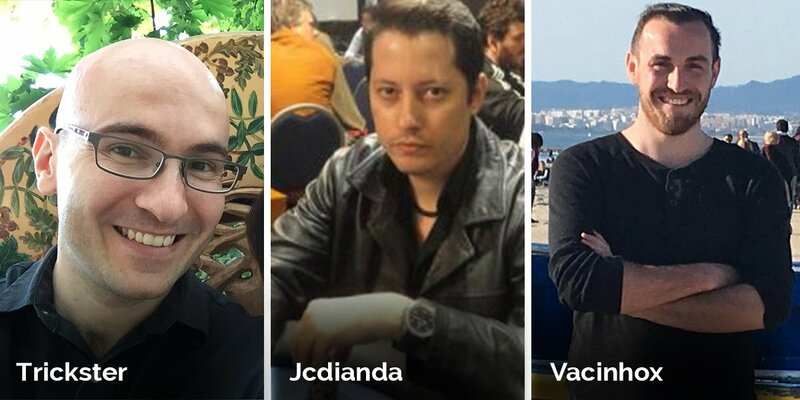 Three BPC students earned Bloggers of the Month for March and take home some CFP points and some nice swag for the winner. After finishing second in February, João moved to the top spot in March. For his efforts, he won 100 CFP points and a Zoom Master T-shirt with logo. 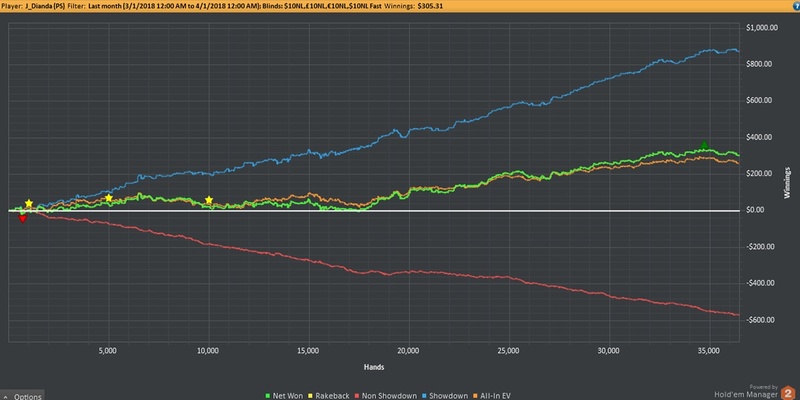 Since beginning with BPC and taking on the role of blogger, João focuses on making a daily report of his play and results, calculations of equities with Uhlvar, his current bankroll and profit, and also some comments on some of his studies and interesting hands played. He works on improving not just his play, but improving his blog. “This month I started putting a little humor in my posts with gifs and emotions as well as longer and informative texts about my daily grind,” he says. This month was particularly interesting for João, who booked his best day since joining BPC. Play 90,000 hands or more. Play 150 hours or more. Play a minimum of six days per week. Maintain his daily routine with hours to wake up, exercise, study, eat, rest, play, and sleep. Keep coaches and BPC bosses informed. 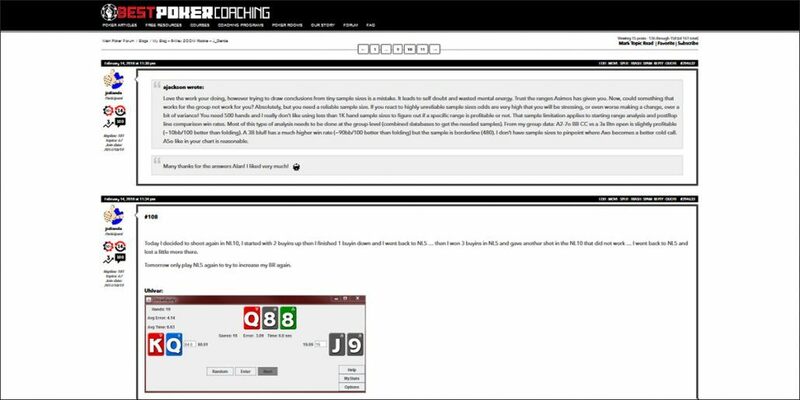 Record the progress of each player to those who can see the efficiency of BPC methods. Serve as inspiration for beginning players. 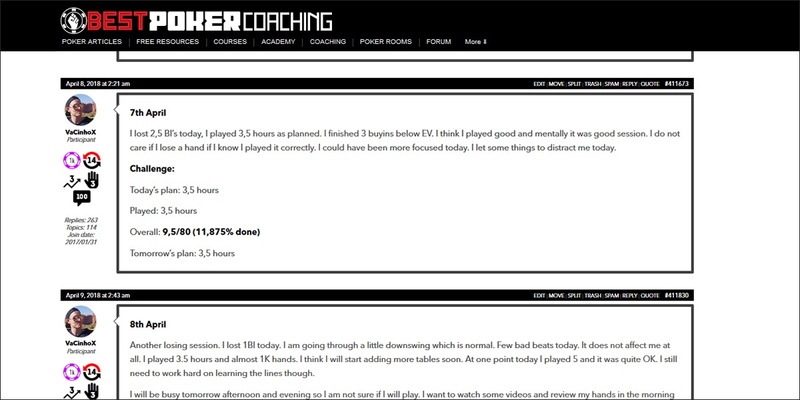 The blog works as a diary, which players can always check for progress – good and bad periods. It helps with discipline and by sharing goals, players commit not only to themselves, but with others to serve as extra motivation. What are some of his goals for his blog in the coming months? To check out his blog, click here. For this online rounder, the creation of this blogging contest served as motivation to take a little action. Marek is now an active blogger, documenting his play for everyone to see. What sets his blog apart? Maybe just the fact that he blogs daily, Marek says, and there aren’t many post that often. Marek also tries to make his thorough. It was 2008 when Marek began playing after watching some action on TV. In high school, he played freerolls to earn some pocket money. He was hooked and began developing his skills. He quit the game during college, only playing a few live tournaments. But he couldn’t stop playing too long. When not playing poker, Marek works a regular job, but is ready to transition to poker as full time. He tries to work out regularly after sitting behind a computer at work and playing poker. He loves football and is a huge Liverpool fan. For Marek, the blogging award is affirmation his efforts are paying off. It also serves as motivation after a long day of cards. No stranger to blogging success, Dominico took home the top prize in February and was back in the winner’s circle in March. 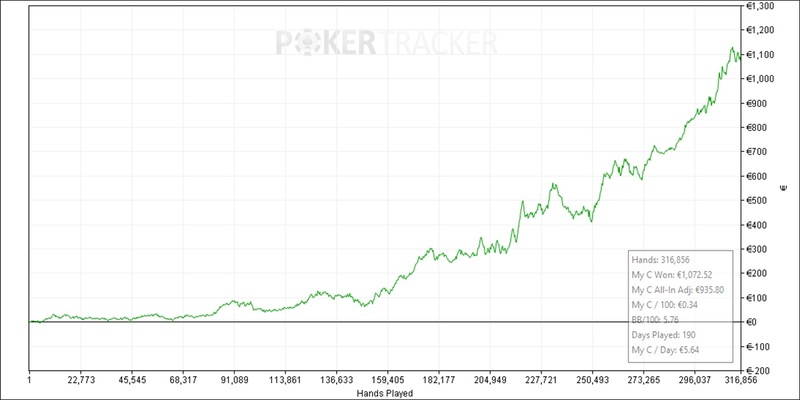 His consistency in his blog and at the tables have produced results. 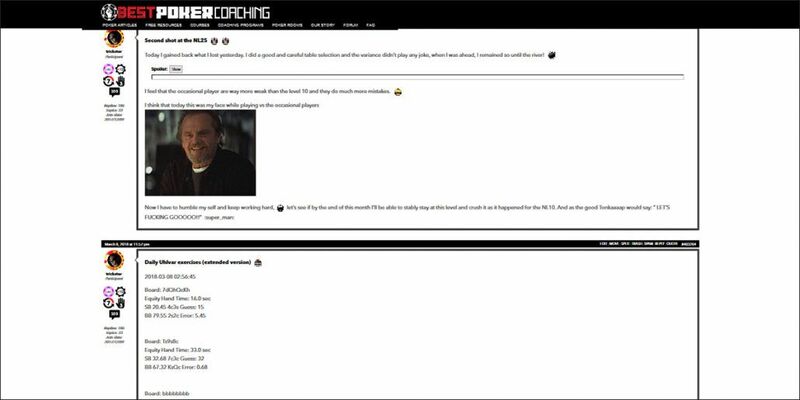 In March BPC members enjoyed his “Hero of the Day” hands, spotlighting hands where “villains [or sometimes Domenico himself] did something very stupid and yet managed to win the had.” Other players enjoyed his general bankroll updates and daily Uhlvar exercises. He attempts to be thorough. Looking back, one day stood out, but on the negative side. The hand made it into the blog and he learned from his mistakes. While he’s become one of BPC’s best bloggers, playing poker is top of mind. He’s happy with the content he’s posting and hopes it inspires others. But winning is his ultimate goal.